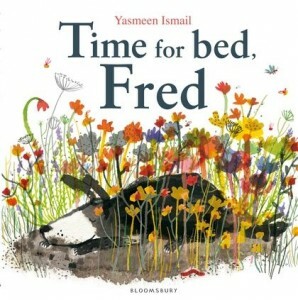 Over the past month or so the children have been exceptionally lucky and have received loads of books for them to read at bedtime, enjoy and comment on. Rather then write nearly fifty individual book reviews which I thought might get a bit boring for subscribers, I have decided to do a round up of what we thought the best ones. These are the ones tried, tested and enjoyed the most by my little motley crew and their friends, age range 6 to 1 years, a mixture of boys and girls. Time for Bed, Fred! 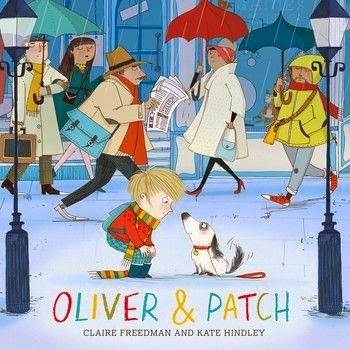 is a lovely story about a dog called Fred who will do anything he can to avoid going to bed. 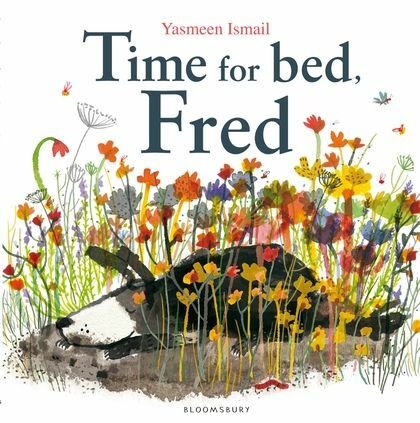 We read this at bedtime and it struck a chord with our kids and lead to a discussion about what they do to avoid going to bed. The illustrations are simply beautiful and would especially appeal to dog lovers. I suspect this is going to become a bedtime classic read and its certainly one we will put away in the loft once the kids are old enough with the hope we may have some grandchildren to pass it onto. This little gem of a book has proved priceless in enabling me to discuss with the 3 and 4 year old the concept of friendship and the idea that not everyone is good at everything. The strength of the book lies with its illustrations which are bold and simply adorable. The one year old loves sitting and looking at the penguins. That’s enough for me to recommend it! 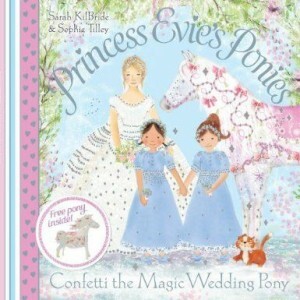 There is nothing Fifi enjoys more in the world of books than the Princess Evie’s Ponies series. We have been slowly buying past titles are rewards for her and she never fails to enjoy the stories. Of course, there is the added bonus of a pop up pony with each book which means she has a lovely 3D collection of the horses. Undeniably girly this book series always has lovely messages and delightful illustrations. The 6 year old boy will sit and listen to the stories, but they aren’t really his cup of tea to be honest. 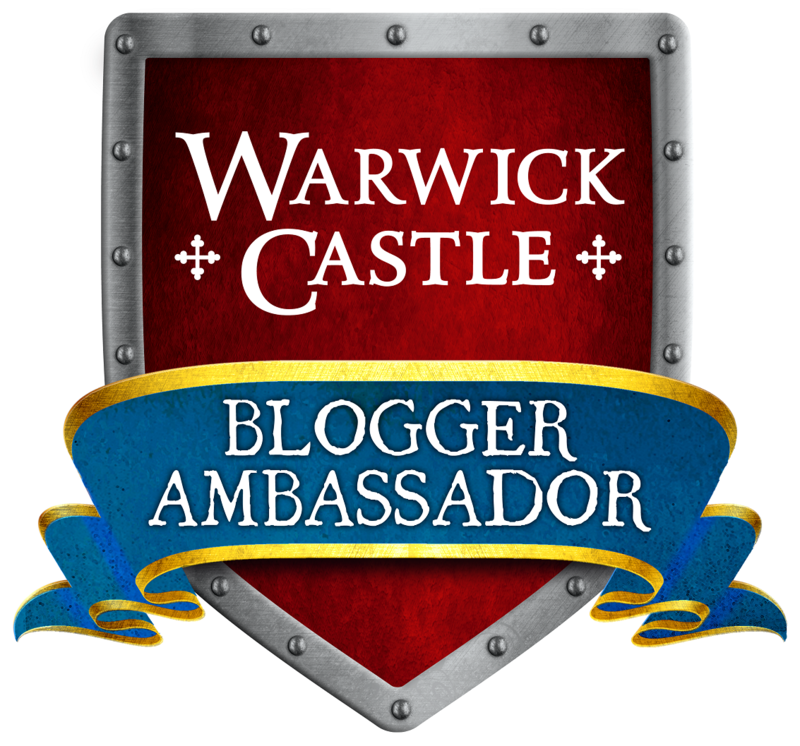 In this adventure Princess Evie goes to a castle for a magical wedding and saves the day. As usual it’s a joyful read, just perfect for little girls. If your children enjoy funny, crazy books then they will love this one. 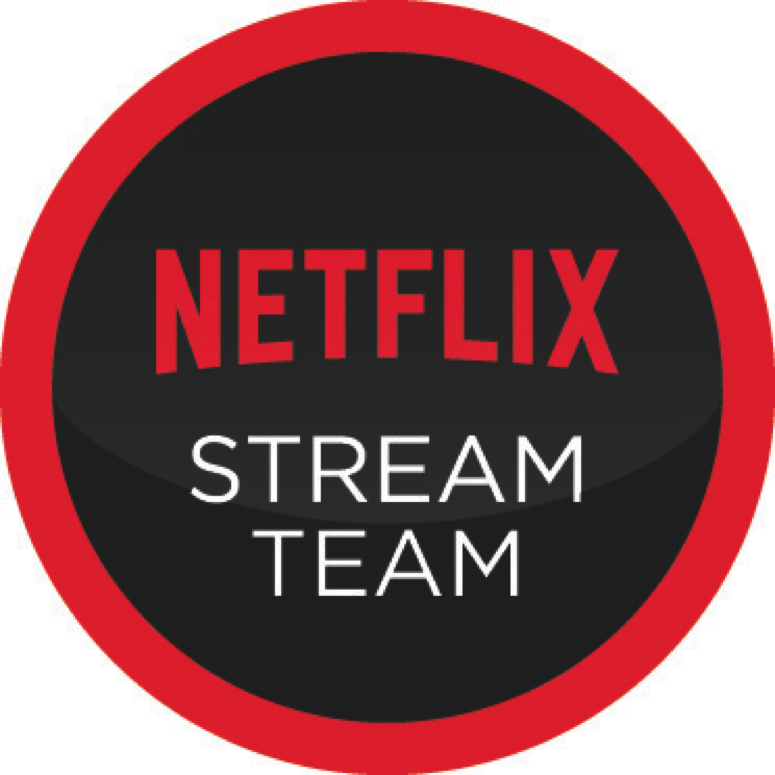 It had my children enraptured because the story is so strange and yet so simple. It’s a great book if your children are just ‘discovering’ parts of their body and you’re having to have those endless conversations about Why? What? and so on. 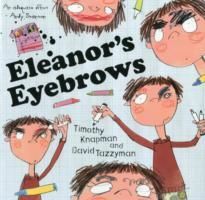 It contains such gems as: “Well, I can easily draw my eyebrows on…” and “Her nose was for picking”. We just loved it. It also sparked off a whole afternoon of crafting different eyebrows. Who doesn’t love a comedy eyebrow? This book has resulted in the children calling their dad ‘Dustbin Dad’ and each time they say it I cant help but laugh because it really has struck a chord. 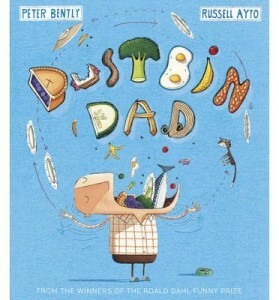 You see, he might not like to hear it but my children’s dad is a little bit of a Dustbin Dad; a dad who eats all the left over food and half eaten pies. This is a future classic, you have to have it on your bookshelf it’s just brilliant! This book comes with a short CD which I have heard about 300 times. That’s how much the 1, 3 and 4 year old love the song. It’s part of the ‘Jump Up and Join In’ Series of books which are about making music. 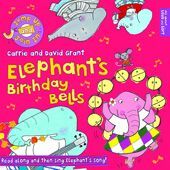 Its a fun book with a simple but accessible story and I think that its one of those books bearing in mind if you are looking for a great birthday or Christmas present. I like the way its a good accessible starting point for learning about music in a fun way, and for the price its great value for money. We have read the story and listened to the CD a lot, probably more so than any other comparable book. A surprise hit for us! 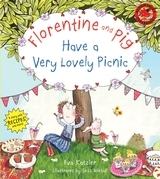 One of the most well read books in our house is Florentine and Pig Have a Very Lovely Picnic, the girls seem to enjoy reading the story again and again. It has also provided us with endless possibilities for further activities including a lovely picnic last summer where we made some of the recipes. 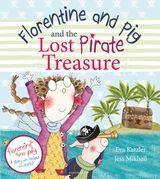 I was delighted to receive a copy of Florentine and Pig and The Lost Pirate Treasure and as I suspected the children have really enjoyed reading the story. It’s a straightforward story, but at the same time quite inspirational for children. 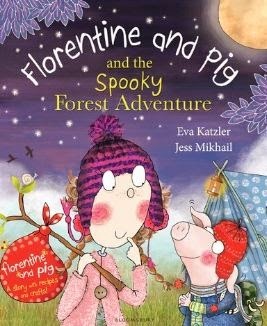 Basically, Florentine and Pig are stuck at home and they go on an adventure to find a sparkly button. The result of reading it has been the removal of all my sofa cushions and reconstruction of the sofa. But I mustn’t complain, its great for kids to use their imagination. The book also has some craft ideas and recipes so it’s actually a really good resource book as well. Jan Fearnley writes and illustrates the most delightful children’s books. I’ve read quite a few books recently with the children which take the idea of a mysterious stranger with special powers and use that concept to draw out emotions in the main characters of the book and this book is no exception to that. 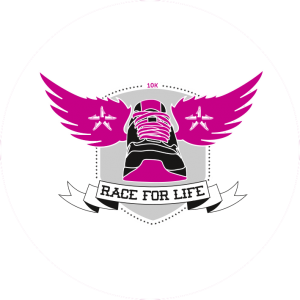 Its a straightforward idea, but one that seems accessible to kids. We loved the illustrations and the idea of a flying mouse was brilliant. 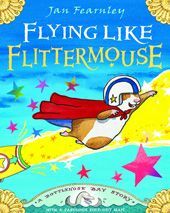 It was a little bit disappointing that there wasn’t that much focus on Flittermouse and it was really about Etsuko the hamster. Nonetheless the illustrations have so much to look at and discuss its one of those books you can take on holiday with you for a week and read every night. Joyce Dunbar always seems to hit the right note with my children and they are big fans. 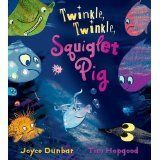 This book tells the story of Squiglet Pig who lives deep in the ocean and is determined to make his friends who are all really miserable smile. It’s a strange adventure featuring mild peril and some quite difficult language for children to grasp. However, they have asked to read it again and again at bedtime. 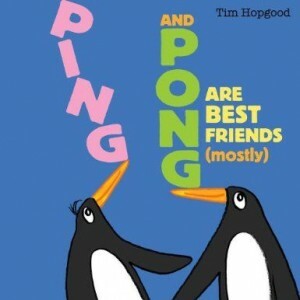 The text based on rhythm is joyous to read and the illustrations are simply delightful. We loved the sentiment at the end, yes, even the most miserable can smile. Disclaimer: I was sent all of these books (and lots more) for review purposes, these were the pick of the bunch!